I am so excited that The Muppets are returning to the big screen, in a film that from all accounts is actually rather good. (If you’ve seen it, leave your review in the comments section.) So this Sunday I wanted to show some love for the pig who over the past 40years has been a tv and movie star, singer, style icon, New York Times Bestseller and the face of MAC cosmetics. 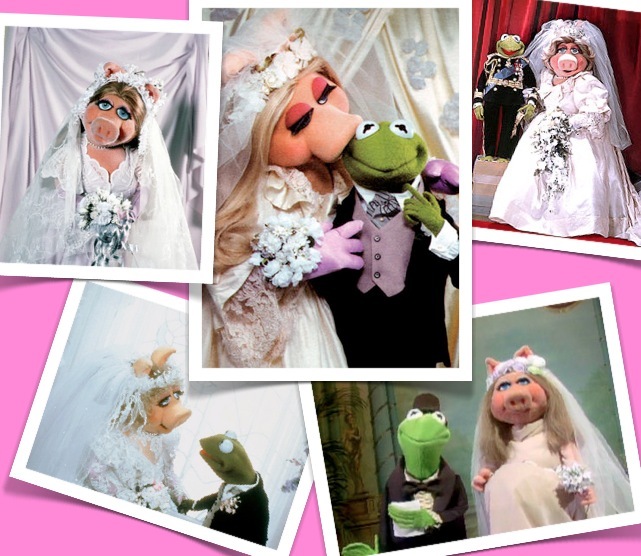 Despite all this success though there is one thing Miss Piggy Lee has not managed to do and that’s persuade her long time love Kermit the Frog to pop the question! But the lovely Piggy has played dress up over the years in various spoofs and photo shoots, some of my favourites are below.